South University, Virginia Beach students, faculty and staff helped feed more than 360 people in need this Thanksgiving. The campus, along with the YMCA Mount Trashmore Virginia Beach, collected 15 bins of food for the Up-Center. The donations were used to provide Thanksgiving meals to those who needed them. 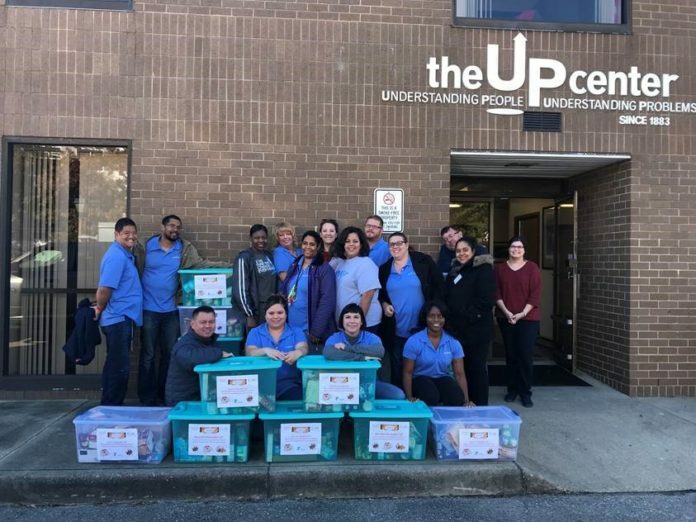 The Up-Center is a Virginia Beach non-profit organization that assists those in need throughout the year. Programs, credential levels, technology, and scheduling options vary by school and are subject to change. Not all online programs are available to residents of all U.S. states. South University, Virginia Beach 301 Bendix Road, Suite 100, Virginia Beach, VA 23452 © 2017 South University. All rights reserved. Our email address is materialsreview@southuniversity.edu. South University, Richmond, and South University, Virginia Beach, are certified to operate in the Commonwealth of Virginia pursuant to Title 23, Chapter 21.1, §23-276.4 of the Code of Virginia by the State Council of Higher Education for Virginia (James Monroe Building, 101 North 14th St; Richmond, VA 23219; 804-225-2600 ;www.schev.edu).